A morning routine can take up quite a bit of time. You need to make sure that you look your best, so that takes up time in the morning before class. A morning routine also takes up even more time when you need to search for certain dorm items or walk back and forth across your dorm room to get one dorm essentials item or another. The most efficient way to save time in the morning (and sleep in longer!) is to keep all of those dorm necessities in one dorm room storage item. 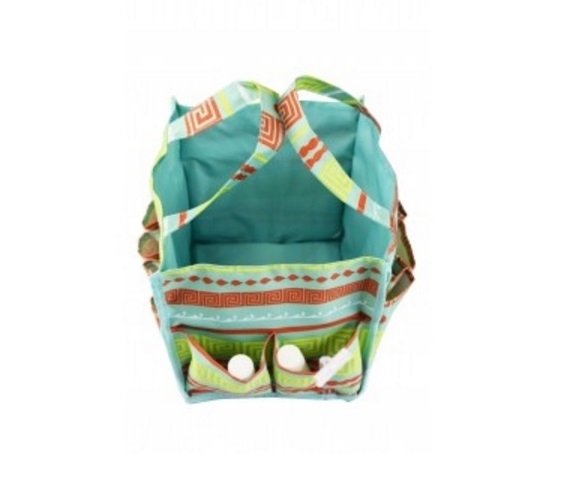 For an easier morning routine, add our Greek Key Turquoise Dorm Organizer. 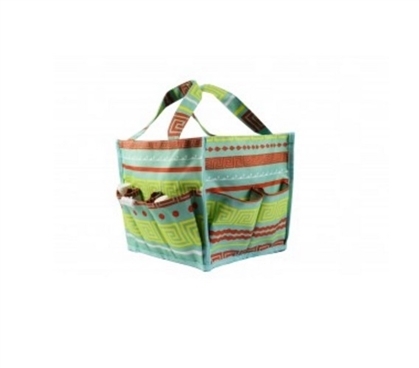 Our Greek Key Turquoise Dorm Organizer has an intricate multi-colored pattern that will add to your dorm room decor while keeping you organized. This handy dorm necessities item will allow you to keep your hair products and cosmetics in one place so you can have an easier morning routine. Along the outer edges of this dorm essentials item are 16 pockets that are perfect for keeping your eyeliners, lipsticks, and brushes separated. 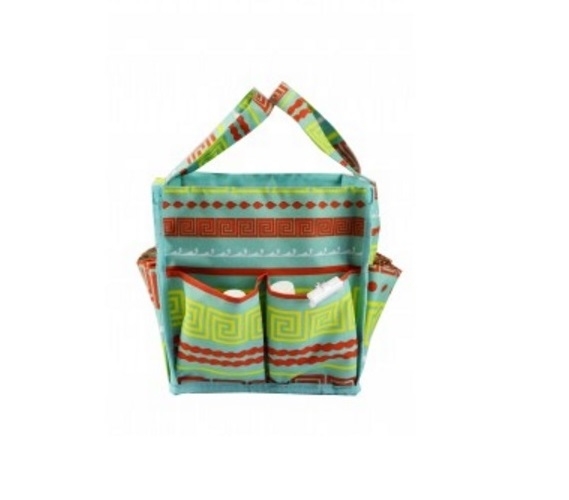 You can even stick your hairbrush handle in one of these convenient pockets. The center of this dorm item is a large open-top square that you can store your hair gel, hairspray, and larger cosmetics items in. You can even carry this dorm item from your dorm room to the dorm bathroom with the convenient handles.